The annual meeting of the ASM, called Microbe, took place in New Orleans, June 1-5, 2017. 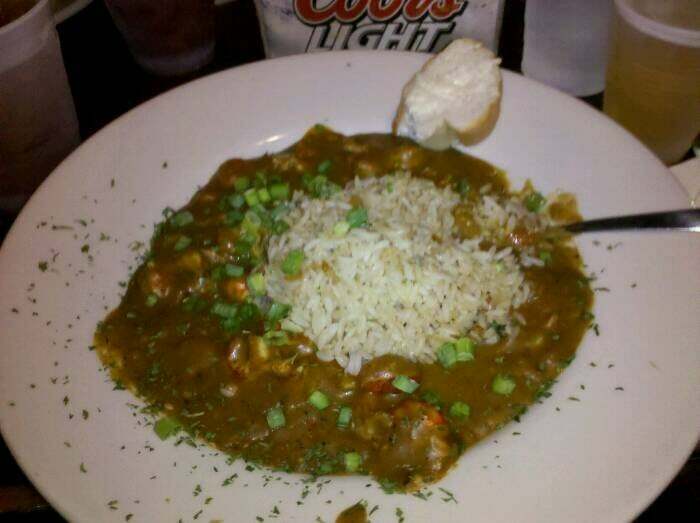 I was there and not just for the crawfish etufée. A few notable changes from the customary routine were in evidence. For the second time, the Annual Meeting of the Society was held jointly with ICAAC’s (the more clinical arm of ASM). Although this certainly made for a larger meeting, I can't say that I felt the difference. Big is big, whether you're talking 5,000 attendees or 10,000 (not the exact figures). On the other hand, I can see the advantage of having people of contiguous interests meet under the same tent. And with the distinctions between the traditional branches of microbiology waning, in part but not only because of shared technologies, this is more than a marriage of convenience. This meeting was innovative in several ways. For pecuniary and other reasons, some sessions were held not in the traditional cavernous lecture rooms but in smaller open venues scattered in the exhibit hall. While this is primarily designed to draw more people to the exhibits, it had the pleasant effect of making it more cozy and informal. I gave a talk at such a site, on "tales from this blog" and enjoyed it thoroughly. I felt I was talking in a town square or something, almost touching the audience. Also innovative was the display of plenary and other sessions on TV sets located strategically in the big hallway. No need to fight the distance of that gargantuan convention center (it's a mile long, no kidding. I recommend golf carts, which were nowhere in evidence). In time, I'll report piecemeal here on the science I heard. Let me instead tell you of an interview at This Week in Virology with NASA astronaut, Kate Rubins. See here for her accomplishments. A Stanford Ph.D. in Biochemistry and Microbiology, she can claim something that made an appropriate splash. From her NASA website: "Dr. Rubins was the first person to sequence DNA in space, eventually sequencing over 2 billion base pairs of DNA during a series of experiments to analyze sequencing in microgravity. Dr. Rubins also grew heart cells (cardiomyocytes) in cell culture, and performed quantitative, real-time PCR and microbiome experiments in orbit." What she sequenced was DNA from phages, bacteria, and mice with a portable DNA sequencer called MinOn. Not only that, in her almost 4 months in orbit she did two spacewalks totaling over 2 hours in length (they had nothing to do with her science experiments, but astronauts are called on to mind the store in addition to their specific tasks). Listening to her responses to Vincent Racaniello and Rich Condit's questions gave me a fittingly vicarious pleasure. Kate was generous in the extreme in the openness of her responses and her willingness to paint a vivid picture of what it's like to do science out there. I couldn't help asking her what astronauts in the Space Station do for fun. Well, they have to spend 2 ½ hour a day exercising to avoid bone loss. But what Kate did for entertainment was to appropriate a window of the spacecraft that pointed to the Earth and watch our orb for as long as she could. She described the experience in passionate terms, telling us how extraordinary an experience that is. She told us that the sight is truly gripping and that she could not have enough of it. Beats TV. A nourishing meeting, all in all. Press play to watch Kate Rubins on This Week in Virology. front page image: Kate Rubins gets ready for one of the two spacewalks she performed during her mission.